Home » Asus » News » Phone » Review » Asus Zenfone 5. Will It Break The Limits? Asus Zenfone 5. Will It Break The Limits? Asus Zenfone 5 has released in India. It starts at a price tag of ₹10,000. Can it beat rivals? Let's see. Asus Zenfone 5 comes in two variants. A 16 GB model and a 8 GB model. The 8 GB model is priced at ₹9,999 and the 16 GB model is priced at ₹.13,990. And we are able to expandable memory up to 64GB via a MicroSD card. 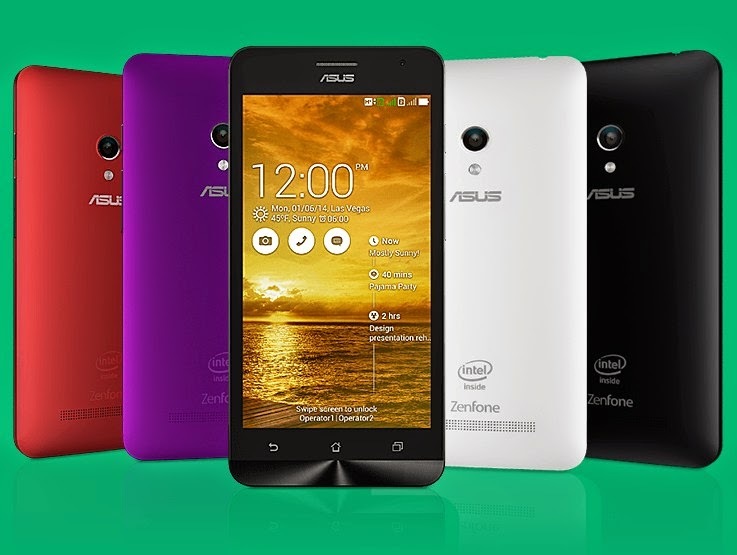 Asus Zenfone 5 is powered by a Dual-core 1.6 GHz Intel Atom Z2560 Processor with Intel Hyper Threading Technology. It comes with 2GB RAM. "That sounds impressive". This phone features a 5inch HD (1280x720) IPS Display with Corning® Gorilla® Glass 3 for protection. The display also supports GloveTouch input. This phone runs on Android v4. 3 Jelly Bean which can be upgradable to Android v4. 4 KitKat. It is customized as ZenUI. This user inference is looking pretty nice. The icons are flat and gives a fresh feel. It is easily customisable. The lock screen is looking good too. There is no lag in the UI when navigating. Everything is smooth as silk. There are lots of color options like Charcoal Black, Pearl White, Cherry Red, Twilight Purple, Champagne Gold. So you get more options to customize your phone. The phone weights 145 g and has dimensions 148.2 x 72.8 x 10.34 mm (LxWxH). Asus Zenfone 5 is a Dual-SIM device with 42 Mbps HSDPA and 5.76 Mbps HSUPA. The phone comes with connectivity features like WLAN 802.11 b/g/n, USB 2.0, Bluetooth V4.0. Navigation for this phone is equipped with GLONASS and AGPS. The Phone has a 8 Mega-Pixel rear camera with autofocus and LED flash and has F2.0 Aperture.The front camera is a 2 Mega-Pixel shooter with F2.4 Aperture. The phone can record video in 1080p @30fps. Asus Zenfone 5 is packed with sensors like G-Sensor, E-Compass, Proximity, Light Sensor, Hall Sensor.The phone is powered by a 2110 mAh Lithium battery which has a standby time of 353 hours(3G) and talktime of 18.5 hours(3G). *Android JellyBean 4.3 ( will update to 4.4 KitKat ) with ASUS ZenUI.